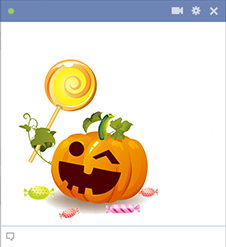 This jack-o-lantern has a Halloween treat in store for your FB friends when you share it on their timelines. We've designed this collection to celebrate Halloween. These images are colorful and will definitely add some attention-getting appeal to your Facebook posts. We have a wide array of images designed to suit every occasion.